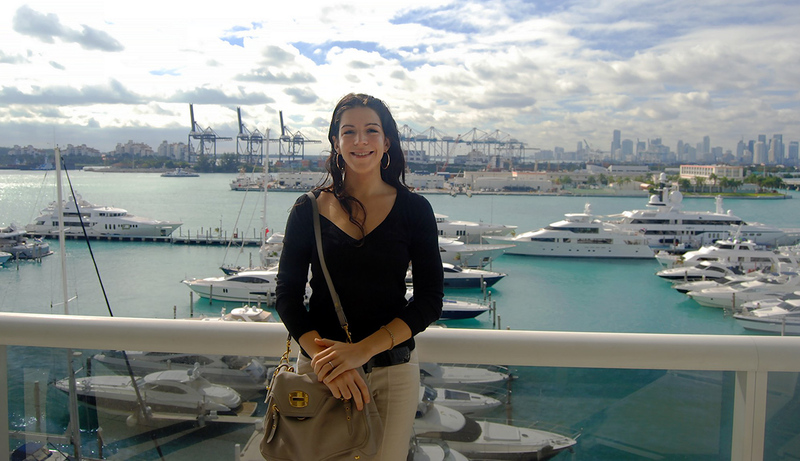 There has been quite a lot of talk in the press lately about Miami condo inventory, both incoming and active. 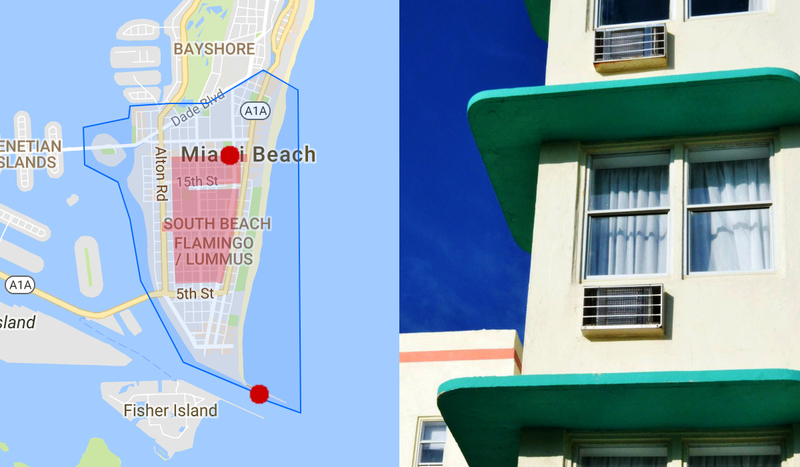 A recent Real Deal article states that Miami-Dade faces 47 months of condo inventory. Growth in inventory and US dollar strength are obvious factors. 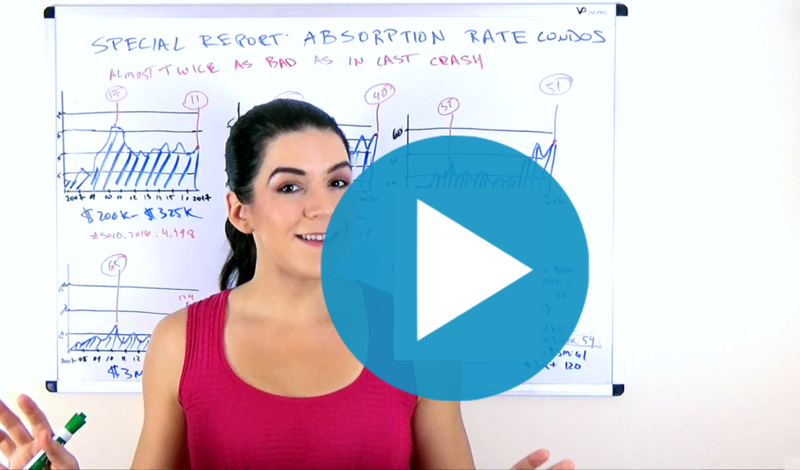 An overall decrease in demand is clear in this historic chart. 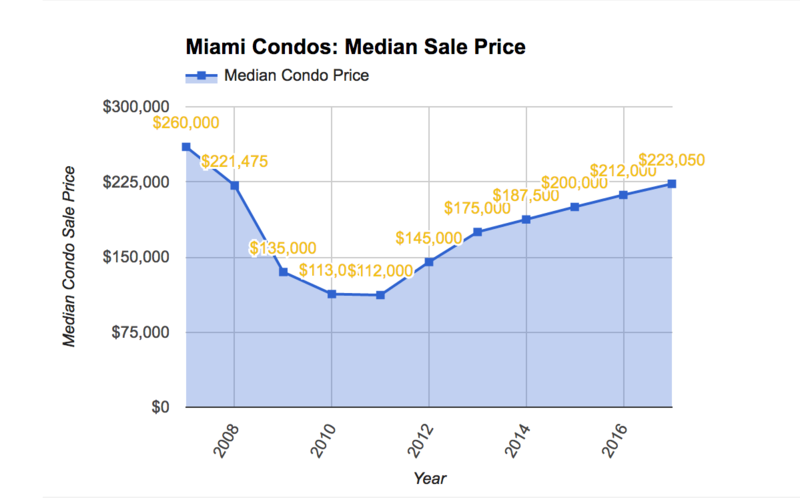 The chart shows Miami-Dade condo sales volume going back to 2007. And we just recently wrapped up Q1 of 2017, the chart has bars marking past first quarters. 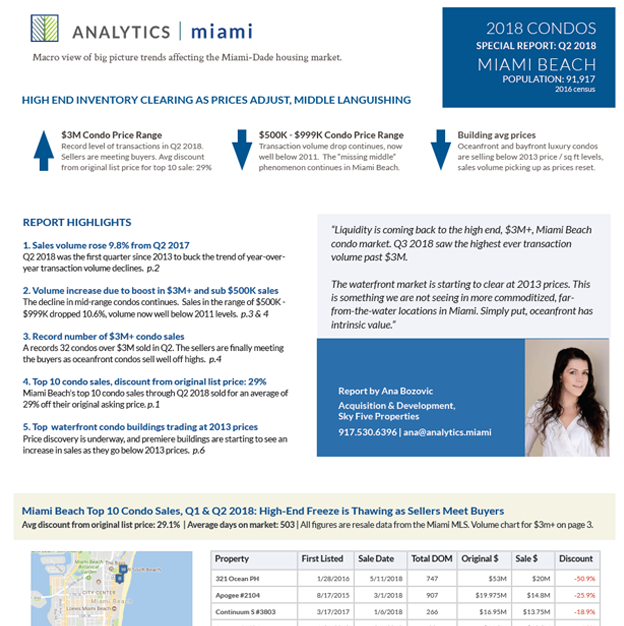 The top of the market, in terms of condo sales volume, was Q2 2013 when 5,322 Miami condos traded hands. We are clearly well into a general volume downturn. 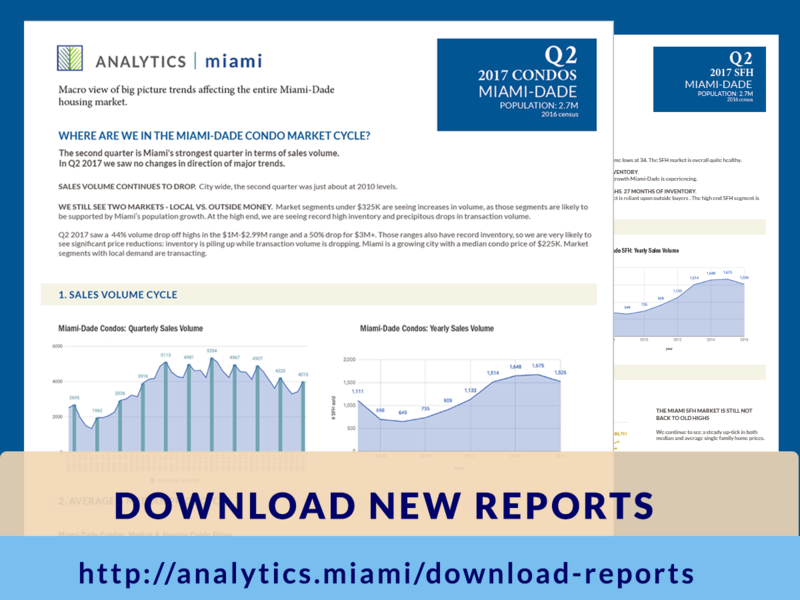 What is of course troubling is that Miami condo inventory continues to climb while volume drops. Tip: the chart is interactive, you can mouse-over it to get exact quarterly condo sales numbers. Hover over the condo sales volume chart above and you will see that all the peaks are second quarters. How are Miami condo sales shaping up in 2017? The first quarter of 2017 saw condo sales volume dip below those of Q1 2016. This was the fifth consecutive first quarter that had fewer condo sales than the same quarter the previous year. Interestingly, the first quarter of this year did clock in more sales than Q4 of 2016. This represents the first Q4 -> Q1 sales volume increase since 2011. The second quarter is going to be important to watch, as it has been the strongest quarter of all preceding years. Unfortunately, April 2017 was quite slow. The uptick we saw in Q1 sales volume did not carry forward into April. 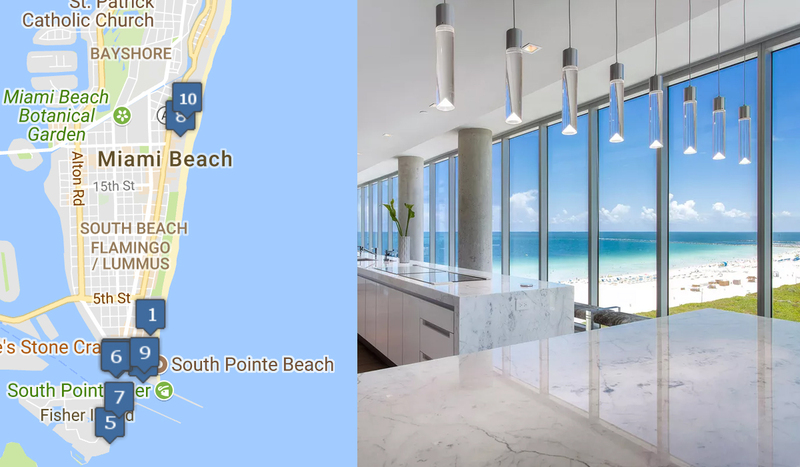 Has USD strength impacted Miami condo sales? 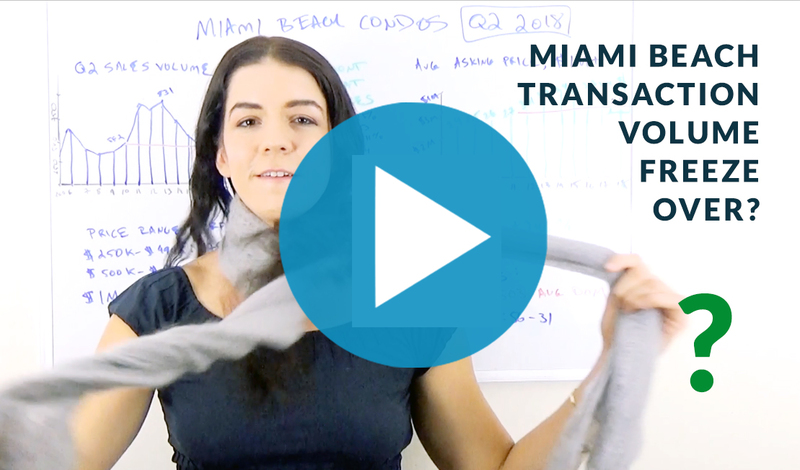 Given that the vast majority of Miami’s condos are purchased by foreign buyers, one might surmise that the strength of the USD has had a dampening effect on condo transactions. Below is a chart showing USD strength versus the five main currencies used to purchase condos in Miami: the Venezuelan peso, the Argentinean peso, the Brazilian real, the Russian ruble, the Euro and the Colombian peso. 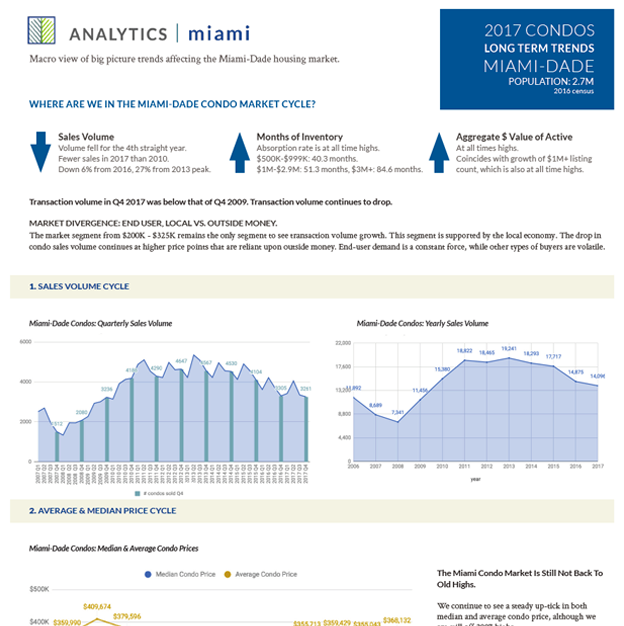 Peak miami condo sales volume was in the second quarter of 2013, right before the dollar’s spike in value. The USD is clearly off its peak versus these foreign currencies, so that may be of some help to the Miami condo market in the months to come. Cheers, An abundance of data.